New Program Manager John Honeycutt speaks to the SLS workforce at his first team meeting. Three golf putters lean against one wall in John Honeycutt’s office. They haven’t seen much action lately, and it may be a long time before they do again. 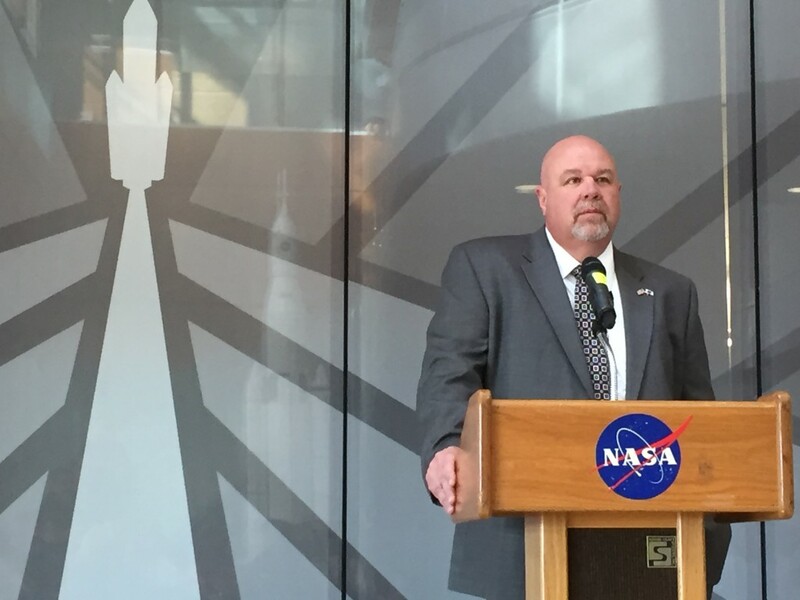 Honeycutt, who takes his golf game seriously or not at all, was recently named to lead NASA’s Space Launch System Program, which is fast becoming crowded (pleasantly) with spaceship parts for testing and even flight. He succeeds the program’s first manager, Todd May, who was recently named deputy director of Marshall Space Flight Center, where SLS is based. Within NASA, he’s a known quantity with 25 years of experience on both the development and operation side and the challenges that came with both. As imposing a figure as he may be in person, he’s also surprisingly soft-spoken. He tends to do a lot of listening, asking questions designed to cut through knotty issues and reveal trends or issues lurking in the dense, detailed, “eye charts” typical of NASA presentations. He’s collaborative, essential for working with other programs. He’s customer-focused, which makes him responsive to strategic direction from above. And he enjoys cutting up with his team on special occasions. Better judgment prevents me from posting the pictures. Honeycutt grew up in Huntsville, a city that evolved from agriculture to manufacturing and to high tech thanks to military projects and NASA space programs. When he was growing up, it was just assumed that, if you lived here, you were going to work with the Army or NASA. His father is a mechanical engineer who was a metals expert first for the Army in the 1960s and then for a space shuttle contractor in the 1980s, and he continues to work in metals analysis today at Marshall. The younger Honeycutt worked his way through college, managing a small grocery store, a gas station, and working in a hardware store. He attended college part time until he was about 24 and turned full-time student until he graduated with a mechanical engineering degree from the University of Alabama in Huntsville. Through the wife of one of his part-time employers, he soon got a job interview with Rockwell, the shuttle program integrator. And the rest, trite as it sounds, is history. Honeycutt, 55, is no stranger to space hardware. If you could ‘letter’ in human space flight, he’d have the jacket. He worked in industry for nine years on environmental and structural testing as part of developing the International Space Station, as well as the main propulsion system, external tank, and launch support for the Space Shuttle Program before joining NASA. Since joining NASA, he’s managed the shuttle external tank program, and he’s served as deputy manager of the SLS Stages office, SLS deputy chief engineer, and most recently as the SLS deputy program manager. That’s all standard press release stuff, but his experience is worth mentioning just because he doesn’t consider it the most important aspect of his new job. As program manager, Honeycutt knows that he can’t be just a hardware guy. He sees his main job as asking questions, seeing where people need help, especially when they don’t realize it, and challenging teams to push through barriers. He also sees himself as program integrator. He places a high priority on getting the SLS team more closely integrated. It’s particularly important when things don’t go as expected… as they can understandably with the largest rocket in the world. When he was named SLS deputy chief engineer, the program was not yet to its preliminary design review – PDR – one of the early design stages. The various hardware elements – boosters, engines, core stage, etc., were loosely coupled through various interface and performance requirements. SLS has most recently completed its Critical Design Review – CDR – and the pieces that were once separate will start coming together in every sense of the word at every level for assembly and testing. Big rocket. Big integration job. Having worked on the hardware development side and the hardware operations side, he understands there’s a difference in how you approach challenges. That cross-cultural experience should help Honeycutt now as SLS moves from design into the “pencils-down”, design-complete, manufacturing and assembly that is gearing up. The design is at least 90 percent complete by definition, and the vehicle is literally taking shape in factories around the country. Having been through challenges ranging from the Columbia shuttle accident to the destruction of Hurricane Katrina, and the ongoing lessons that every shuttle mission taught, Honeycutt knows SLS has more challenges ahead. His decisions will be aimed at flying the first SLS mission on schedule and then having the second rocket ready as close behind the first as possible. Of course, that’s his job. To make that happen, it looks like a serious commitment to his golf game will have to wait. If Murphy’s Law were actually true, things would arguably be much easier. The old adage that “Anything that can go wrong will go wrong” has a reputation of being the apogee of pessimism, but think about how much simpler it would make things if it were true. Spaceflight is full of unknown possibilities, and if Murphy’s Law were really true, you’d only have to prepare for the worst of them. It’s true for a college exam and it’s true in life or in engineering – it’s not the hard questions that will get you, it’s the ones you never imagined you’d be asked. There’s a movie out now that captures the spirit of that. “The Martian” tells the story of Mark Watney, an astronaut on Mars who, to put it lightly, gets the opportunity to learn about what can go wrong in space exploration, and his survival depends on working with the NASA team back on Earth to answer questions none of them had ever imagined. In many ways, “The Martian” is a spiritual successor to “Apollo 13,” both the 1995 movie and the 1970 NASA mission on which it was based. On that mission, a failure in an Apollo service module put the lives of the crew in jeopardy, and only through quick thinking, hard work and a lot of endurance was the crew able to survive. Both movies are edge-of-your-seat stories about the risks of spaceflight and the merits of duct tape, but while one is fiction and the other is based on a true story, they both are ultimately, in a very real way, stories about NASA — about who we are, and about how we rise to the challenge of answering those unexpected questions. 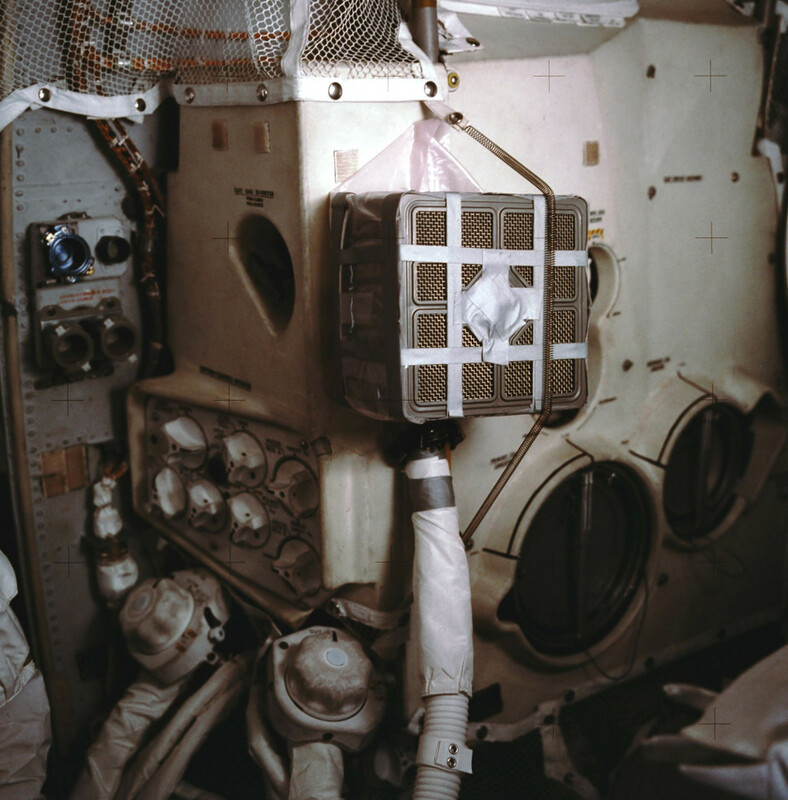 A square peg in a round hole — The real-life carbon-dioxide scrubber assembly that helped save Apollo 13. The Apollo 13 mission has been described as being perhaps “NASA’s greatest moment.” I talked once with an astronaut who said this title should really go to a 10-day span in May 1973. When the Skylab space station launched on May 14, its first crew was supposed to follow it on the next day. An anomaly during launch caused the heat shield to be lost and the solar power system to be crippled, endangering the space station. In 10 days, NASA figured out multiple ways to save Skylab, designed and built two different solutions, and was able to launch the first crew on May 25. Apollo 13 was primarily a story of a crew and mission control, but the Skylab rescue was a nationwide effort. You may never see a movie about the Skylab rescue. The world may pay more attention when lives – real or fictional – are in danger, but answering the unknown is something we do every day. When we do it successfully, it means that we prevent those lives from being endangered in the first place. It made me happy that one of the first conversations I had with a coworker about “The Martian” wasn’t about what was right or wrong with the movie, but what could have been done differently to make sure the situation it depicts never happened in the first place. On a program developing a new vehicle, our job right now isn’t solving Apollo 13- or The Martian-style problems, it’s preventing them. Which doesn’t mean we don’t have challenges on the Space Launch System program. 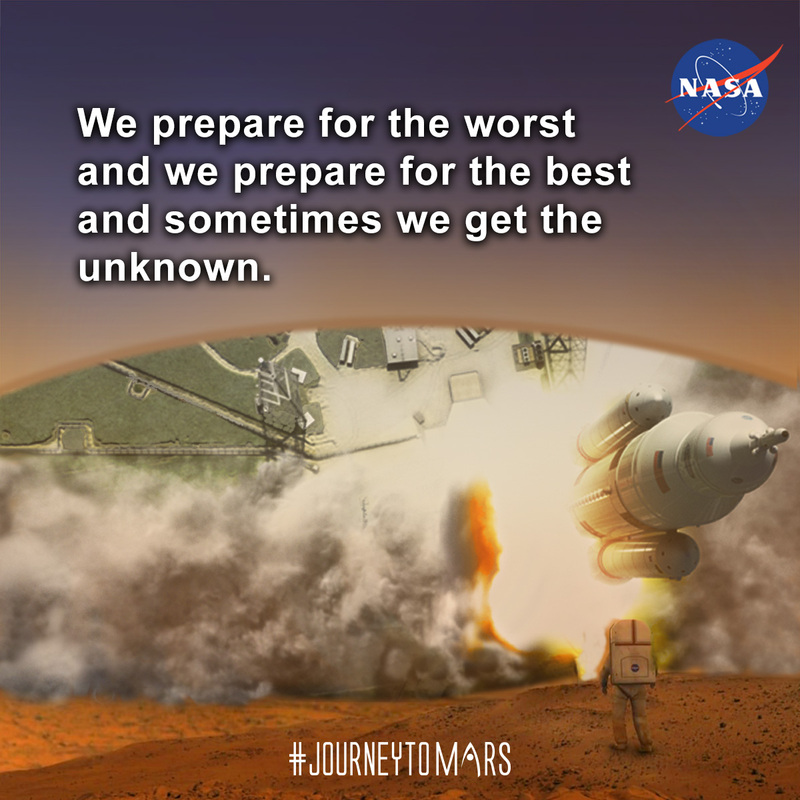 We prepare for the worst and we prepare for the best and sometimes we get the unknown. A material doesn’t function in reality the way it does on paper. A proven system behaves differently in a new environment. And when that happens, just like in those movies, we roll up our sleeves and we find an answer to the unexpected question. And the moments when we do, the moments you never see in movies when we make sure the next Apollo 13 never happens or the next Mark Watney is never stranded on Mars – THOSE are NASA’s greatest moments. Next Time: Who’s The Boss? 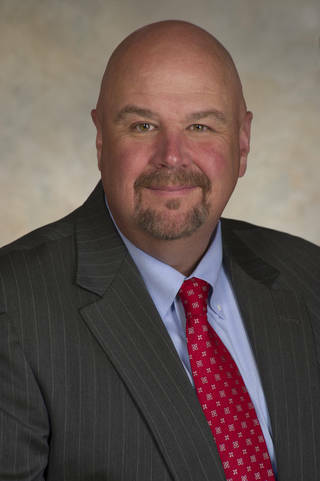 David Hitt works in the strategic communications office of NASA’s Space Launch System Program. He began working in NASA Education at Marshall Space Flight Center in 2002, and is the author of two books on spaceflight history. The demands of going to Mars are immense. Meeting that challenge will require delivering our best, and then continuing to do better. Designed to enable human exploration of deep space, NASA’s Space Launch System will be, from its first launch, the most powerful rocket in the world today. The first SLS to depart Earth will carry about triple the payload of the space shuttle, provide more thrust at launch than the Saturn V, and send Orion further into space than Apollo ever ventured. But even that power is only a fraction of what is needed for human landings on Mars. To continue the Journey to Mars, we will have to take the most powerful rocket in the world and make it even more powerful. 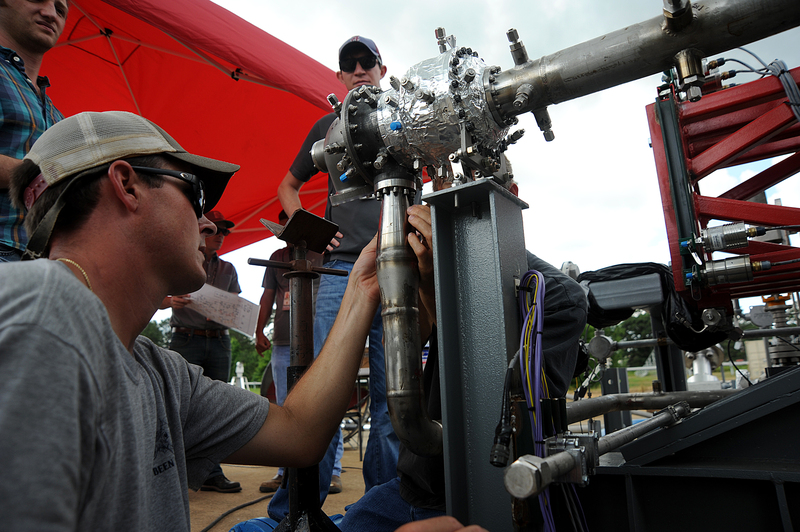 NASA is doing research today on technologies like composite materials and 3-D printing that will be used to make future versions of the rocket more powerful. Engineers at Marshall’s Space Flight Center, where the program is based, and other engineers across the country, are already in the planning phases for the first major upgrade, which will come in the form of a more powerful upper stage. This will create a version of the rocket that will serve as the workhorse for “Proving Ground” missions that will test out new systems and capabilities in the vicinity of the moon before we heard toward Mars. With the new upper stage, SLS will be able to carry additional payloads to lunar space with Orion, allowing astronauts to make longer stays in deep space. Then, in order to enable the leap to Mars, SLS will receive new, advanced booster rockets that will make it even more powerful. The SLS Program is already working with industry partners to demonstrate new technologies that will make sure the new boosters are state-of-the-art when they begin flying. Mars is sometimes discussed as a “horizon goal” in human space exploration. While Mars is a focus of our efforts, it is neither the first step of the journey nor the last. Just as we will develop our capabilities in the Proving Ground near the moon before heading toward Mars, once we have reached the Red Planet, our voyage into deep space will continue. Space Launch System not only represents a foundation for our first steps on the Red Planet, the robust capability necessary to accomplish that goal will also give us the ability to carry out many other ambitious space missions. Far beyond Mars, SLS could speed space probes far faster than ever before to the outer solar system. With the ability to launch far more mass than any rocket currently flying or in development, SLS could be used to help pave the way to Mars with large-scale robotic precursor missions, such as potentially a sample return, that would demonstrate systems needed for human landings. 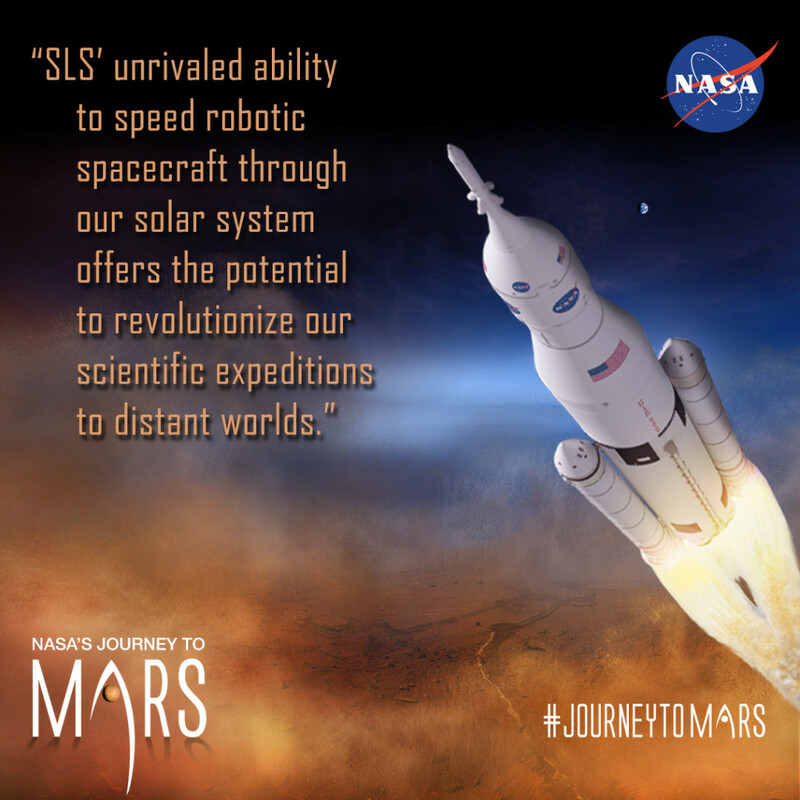 SLS’s unrivaled ability to speed robotic spacecraft through our solar system offers the potential to revolutionize our scientific expeditions to distant worlds. 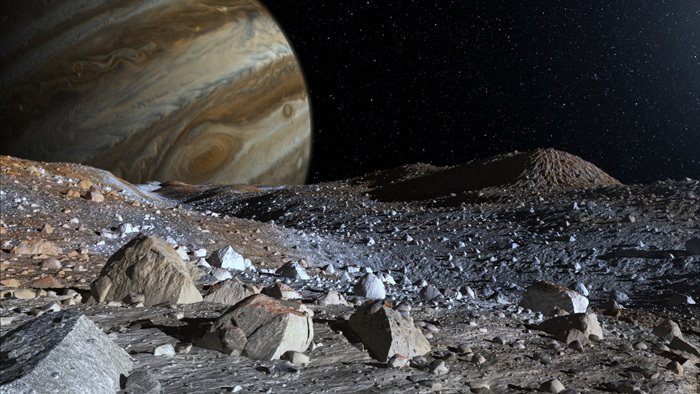 Reducing the time it takes to reach the outer planets could make it possible to conduct in-depth studies of icy moons that are promising destinations in the search for life. With payload fairings that make it possible to launch five times more volume than any existing rocket, SLS could be used to launch gigantic space telescopes, which will allow us to peer farther into space, and with greater detail, than ever before, revealing new secrets of our universe. In addition to the Orion crew vehicle and other large payloads, SLS will be able to carry small, low-cost secondary payload experiments, some not much larger than a lunchbox, providing new opportunities to for research beyond the moon and through the solar system. This will make it possible for groups that otherwise might not be able to afford a dedicated rocket launch to fly innovative ideas that can help pave the way for exploration. The first launch of the initial configuration of SLS will be just a first step toward these and other opportunities; each upgrade will give us progressively greater ability to explore. Mars – and the solar system – are waiting. For more about how NASA is preparing for the Journey to Mars, check out our page, The Real Martians.